With this easy-to-configure module you will be able to create a product catalogue to later import it to Facebook and use it for Facebook and Instagram Product Tagging. From the configuration page you will be able to choose from several options to customize the feed generated. Once generated the Product Catalogue can be used to create regular product ads or to tag products in Instagram posts, but it's best to use it with Facebook Conversion Tracking Plus module to be able to use the Dynamic Product Ads. With Facebook Products Feed for Dynamic Ads & Insta Tagging you will be able to export your Products Catalogue to Facebook. The Product Catalogue contains basic and the additional information, such as the products attributes and it's needed to use the Dynamic Product Ads. What are the dynamic Product Ads? It's an advanced retargeting feature from Facebook. Automatically created ads based on the behaviour and interests of your customers. Since the Ads are generated dynamically for each customer the campaigns have much less maintenance and a much lower cost and better conversion rates. Once the customer buys the product the modules sends the necessary data to make that customer don't see the ad any more (unless he shows interest on any of your products again). Is a feature only available for certified accounts that let you tag products from your shop on Instagram Posts. Every section of the module is well documented, meaning that you won't need any previous experience to configure and use the module. There are also some advanced options to have a better control with the feeds generation. Or a step-by-step guide on how to configure a Cron Job (a sever side script to automatically update the feed). The module will also try to check and notify of the errors that Facebook may found when uploading the module making it easier to find and solve. Sometimes you don’t want to show all your products in the ads, Facebook has powerful filters to create Product Sets that can later be used for Ads, this way you can exclude all the products you want from your catalogue. The number of product sets you can create on Facebook is unlimited and they won’t be lost after each automatic update. This module quite new and we will be continuously updating it to make it better. If you found any bug or suggestion please contact us. If you love our module and customer service please rate us and help other customers. Facebook: Customers will see more accurate ads, based on what they like making them more likely to buy them from you. Instagram: Users will be able to easily buy any product what caches their attention from your Instagram stories. Really helpful and useful support center. They constantly helped me during the installation process. Once you follow their instructions, very easy to install. Satisfied customer here ;) . the module's developer supported professionally and even made an extra effort in its set up &implementation in my organization. 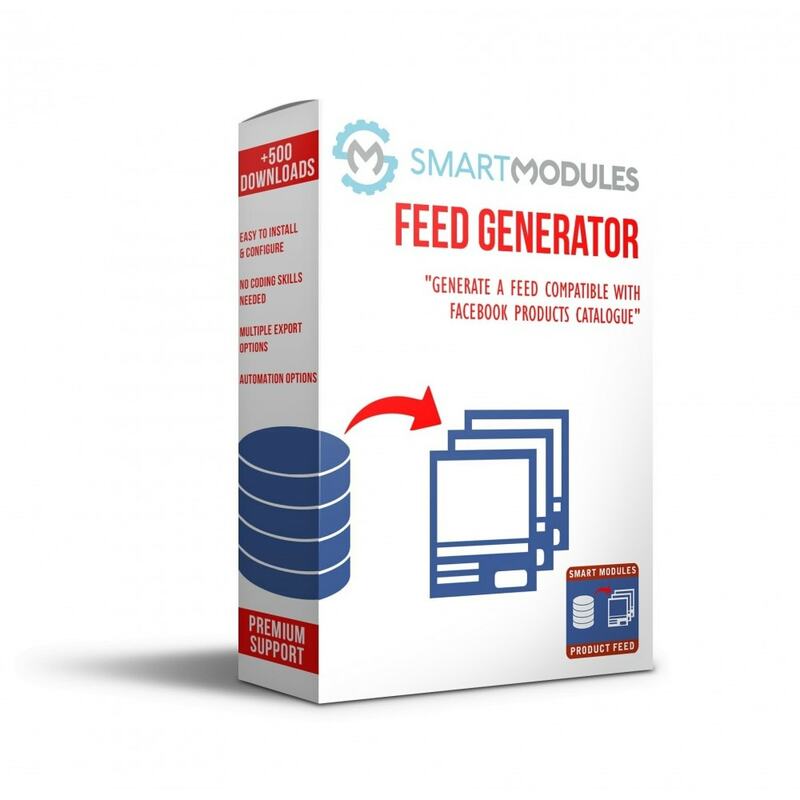 i truly recommend about this module as its effectively & seamlessly producing the Facebook's feed. The developer is very helpful to overcome minor difficulties on my server. Would recommend anyone doing advertising on facebook. - Then choose (Products > fpf_image). You will see a section called Feed locations for each shop, there you will be able to enter the Facebook Product Catalogue ID. To obtain the Catalogue ID do the following steps for each language and shop you have on your site. Below the product catalogue’s name, you'll find it's ID. Copy it and paste it in the right place of the module configuration page.